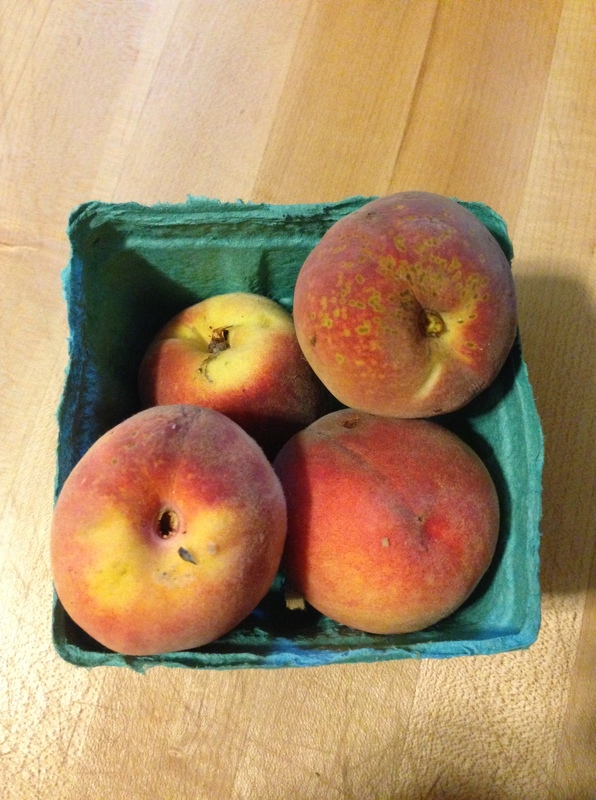 Lucky for Mike, I am not a peach fan – so he had these all to himself! (he had already eaten one by the time I had taken a picture). I’ll be chopping & freezing the bell peppers tomorrow. The kale will also be making a great salad with some locally made peanut sauce (on my list to buy tomorrow). I’m starting to get really good at prepping lunches again (thank goodness)! This time of year is a very busy one for me because of marching season. The next Friday night I’ll have ‘off will be November 1st. Needless to say, I’ve got to start being proactive again with dinners & leftovers, and dust off the ol’ crockpot again. Question for Ya: What’s your favorite crockpot meal? I need some new ideas. Bonus points for if it is meatless!